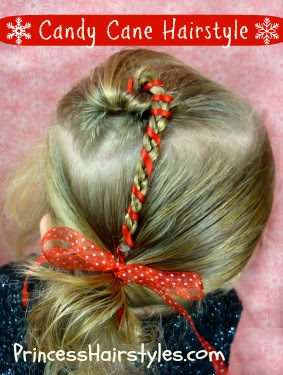 This video tutorial shows how to make a cute candy cane braid hairstyle (perfect for holiday parties and Christmas.) I'm loving this holiday hair style because you don't need to know how to french braid or do anything too fancy to create it... and it's quick. We have had many requests for more hairstyles featuring our darling 2 yr old niece/cousin (The Pea.) Isn't she just so cute? 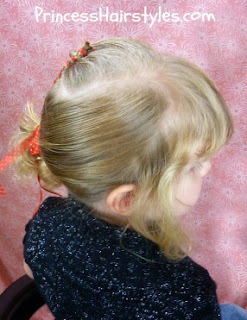 Each time we have done a toddler hairstyle in the past, we always get questions about how we get her to hold still for a hairstyle. The simple answer is that she doesn't hold still (as demonstrated in our video below.) ;) She is a perfectly normal (squirmy) 2 yr old, and we wouldn't have her any other way! 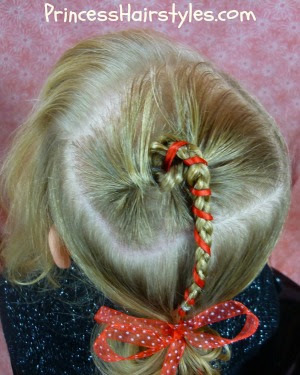 Candy Cane Hairstyle Video Tutorial: Click here to watch directly on YouTube. 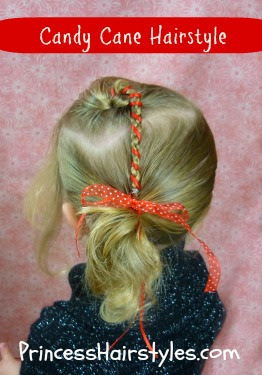 This festive ribbon style would be darling on toddlers, babies, little girls, tweens, and "big girls." 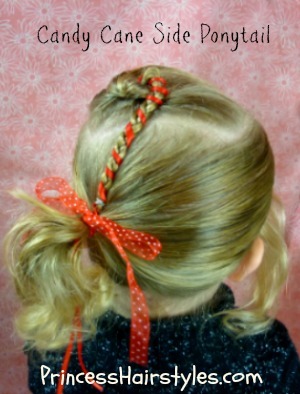 The Princess is planning on wearing this hairstyle Christmas Eve! Thank you so much! I just did this one on my 5 yr. old sister for our 12 yr. old sisters violin recital. It is so cute!